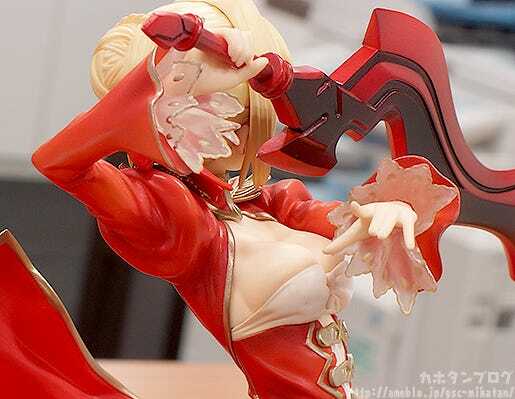 It’s not just me trying to escape from the fact that WonFes is in 9 working days…! 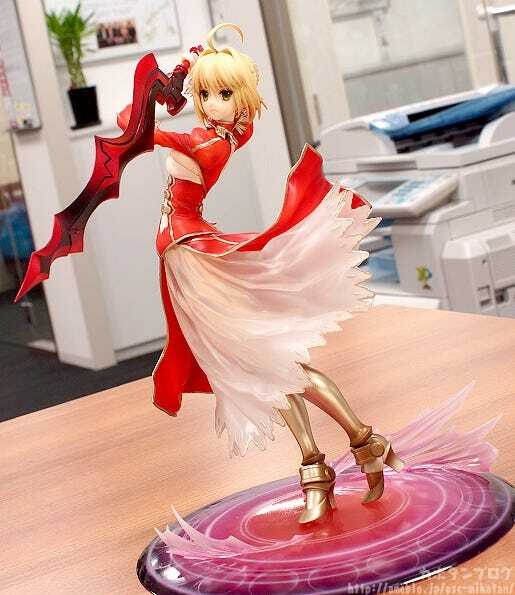 From the popular game ‘Fate/EXTRA’ comes a 1/7th scale figure of the heroine, Saber Extra! 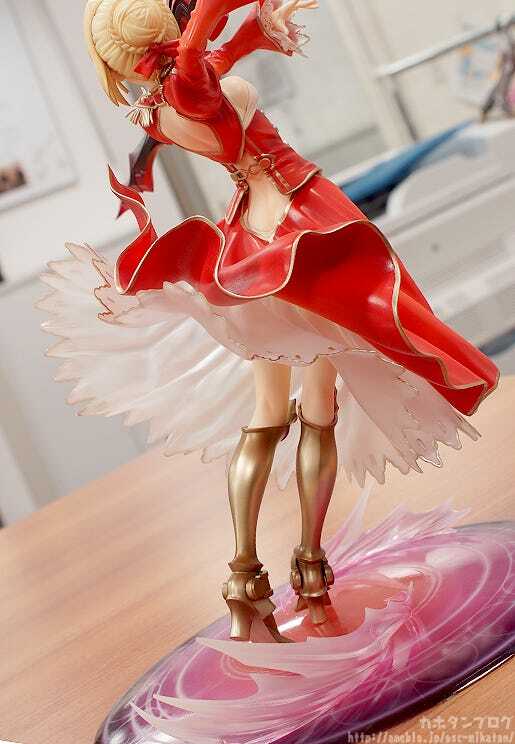 The adorable servant who calls herself an Emperor, dressed in a beautiful red dress! 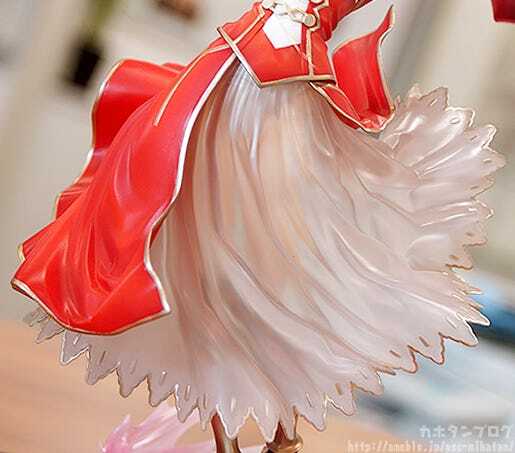 The golden lining of the dress brings out the red so nicely, which is contrasted even more by her pale white skin! The back of her outfit is magnificent! 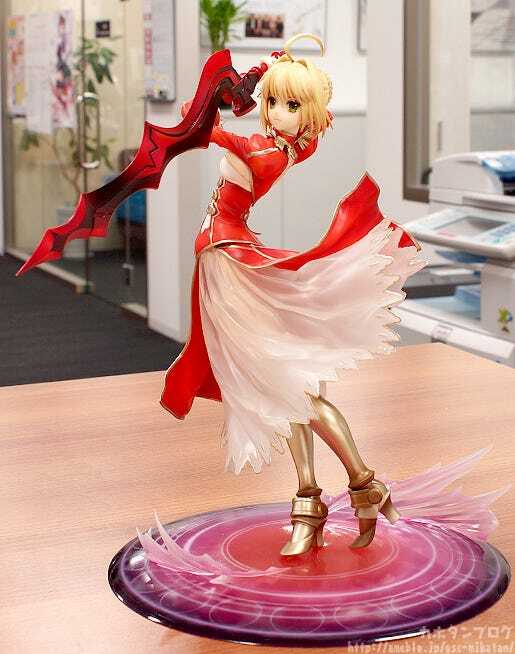 The base features a powerful aura made in the image of her Noble Phantasm, Aestus Domus Aurea! We’re joined by the figure’s planner, Yassan from the planning team! 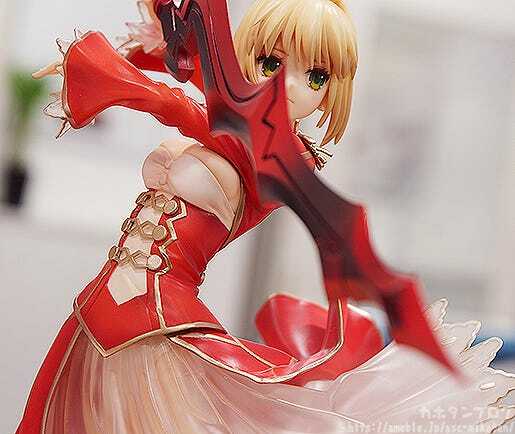 It really adds an extra something to the figure! (・∀・) ” Because she is in a rather unique pose with her upper body twisted around, we had to rework the overall balance a number of times! Now that you mention it, she way her skirt is fluttering around and the movements of her hands do look rather dance-like! The Aestus Domus Aurea sword could almost be seen as some kind of dancing tool instead of the weapon it truly is! 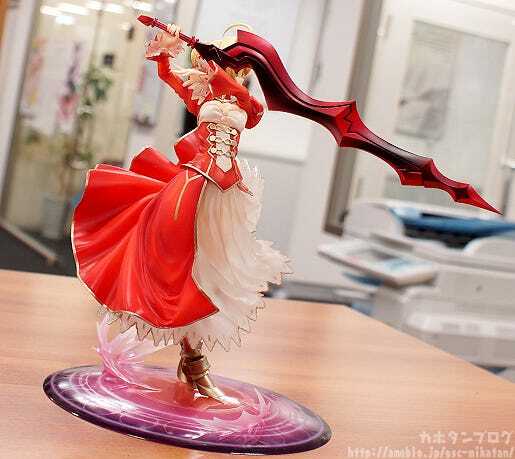 She will be up for preorder from the 17th July 2014! 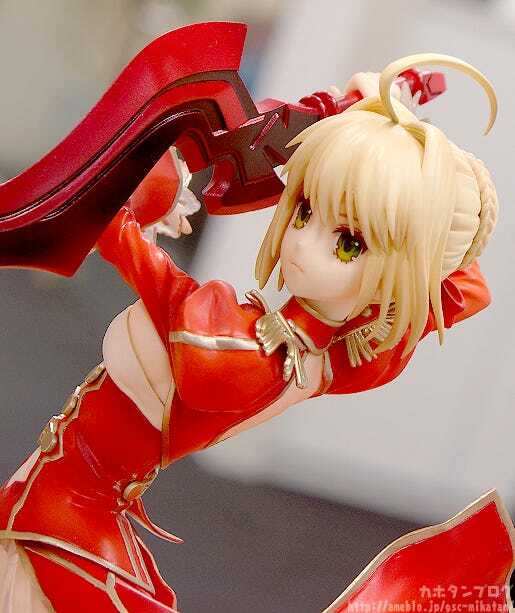 (・∀・) “In Autumn the new Fate/stay night anime is due to begin, and I’m sure we’ll be following up with various figures for fans to enjoy as well! I get the feeling I have something to look forward to! I’ll be sharing with everyone on Twitter and the GSC Site as soon as I have more info! The Nendoroid Petites will be up for order shortly! Check my blog on them from last week! 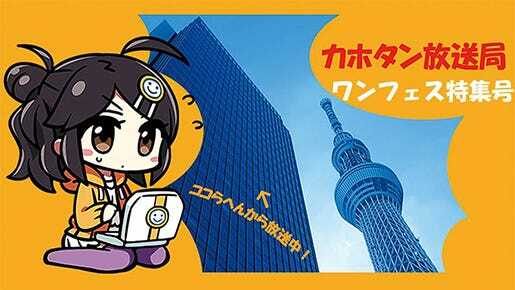 Kahotan Station: WonFes Special is coming this Friday!